Third in the national bestselling series-military science fiction on the edge. Rogue clone Wayson Harris is stranded on a frontier planet-until a rebel offensive puts him back in the uniform of a U.A. Marine, once again leading a strike against the enemy. But the rebels have a powerful ally no one could have imagined. Born in California but raised in Hawaii, novelist/video game fanatic Steven L. Kent turned a life-long joystick addiction into a 15-year gig writing for publications like MSNBC, Boy's Life, USA Today, Chicago Tribune, and Japan Times. After publishing the 600-page The Ultimate History of Video Games, Kent satisfied his Pac-Man-angst and set his sights on fiction. 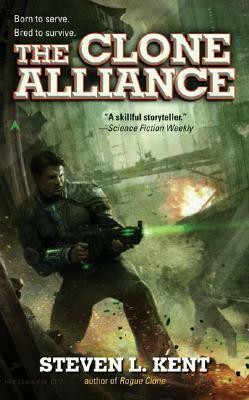 Having just submitted The Clone Elite, the fourth book in his "Wayson Harris Trilogy," Kent is currently writing a standalone sci-fi novel while he develops a new series based on the Unified Authority.